Are you looking to build an addition onto your home but aren’t sure what type is best for you? Since your home is one of the biggest investments that you will ever make, why not add value to it with a sunroom addition. This affordable addition offers numerous options that will add extra square footage and enhance your home. 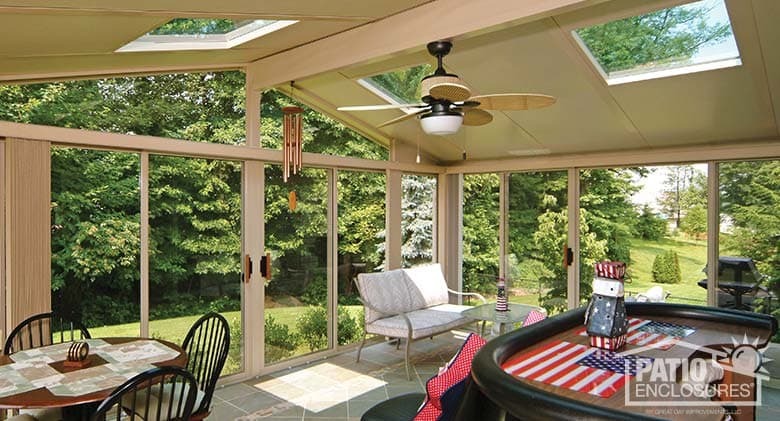 Besides the major cost difference, sunrooms can be installed in a fraction of the time a traditional addition takes. Whether you are looking to add a brand-new patio enclosure to your home or want to enclose an existing patio or porch space, we can handle your project. A screen room is an affordable option that keeps the bugs out while allowing the evening breeze into your space. Patio Enclosures three season rooms are a great addition for homeowners who want to enjoy the outdoors from the comfort of their home, but do not necessarily need the living space all year-round, depending on the climate. This option is more affordable than a four season room and it extends its use to three seasons: spring, summer, and fall. If you live in a warm to mild climate, a three season room may be perfect for you all year long. If you are looking to add year-round living space to your home, a four season room is the best option for you. These rooms are manufactured with thermal breaks throughout the structure and double-pane, high-performance Comfort-Gard insulated glass, so you can heat and cool your home cost-effectively. 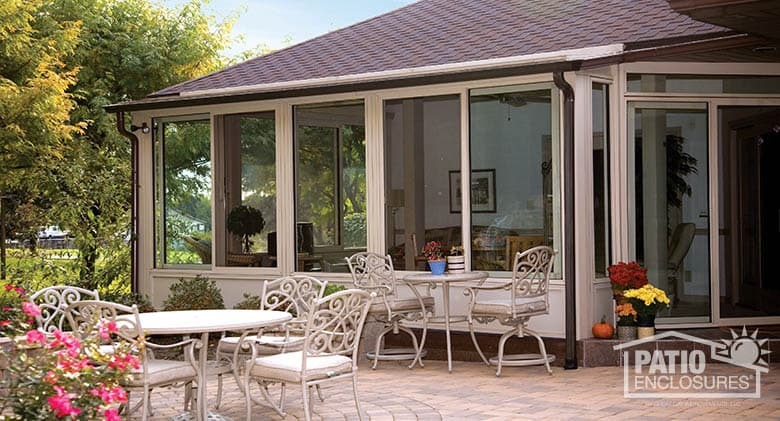 A Patio Enclosures four season room, also known as an all season room, is constructed with either vinyl or aluminum framing and includes a 6-inch roof for added insulation and protection against maximum wind and snow loads. Whether you decide to go elaborate or simple, there are options available for every budget. With glass walls and a glass roof, a Patio Enclosures® solarium gives you unobstructed views of your surroundings. Each room is manufactured with 1-inch thick double-pane, high performance Comfort-Gard insulated glass to improve heating and cooling performance. 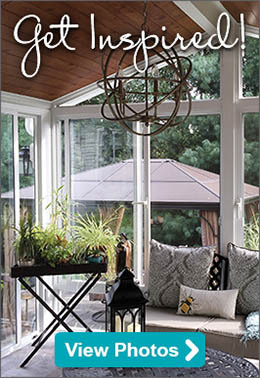 Before planning your sunroom, it’s important to decide which type of sunroom is best suited to fit your unique needs. 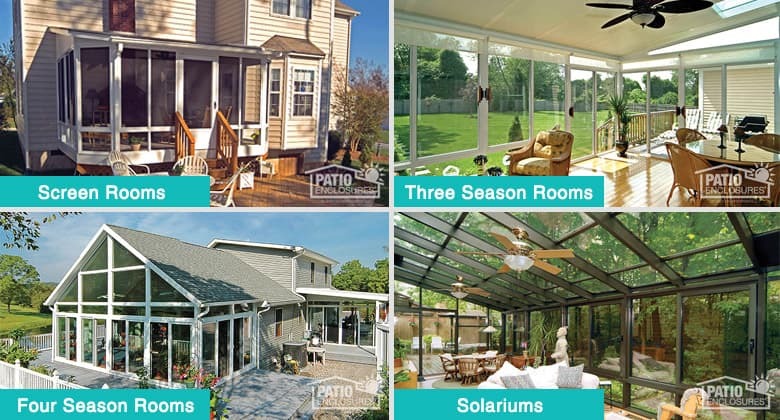 At Patio Enclosures, we want to help you choose a room that is a perfect fit for your budget and lifestyle. 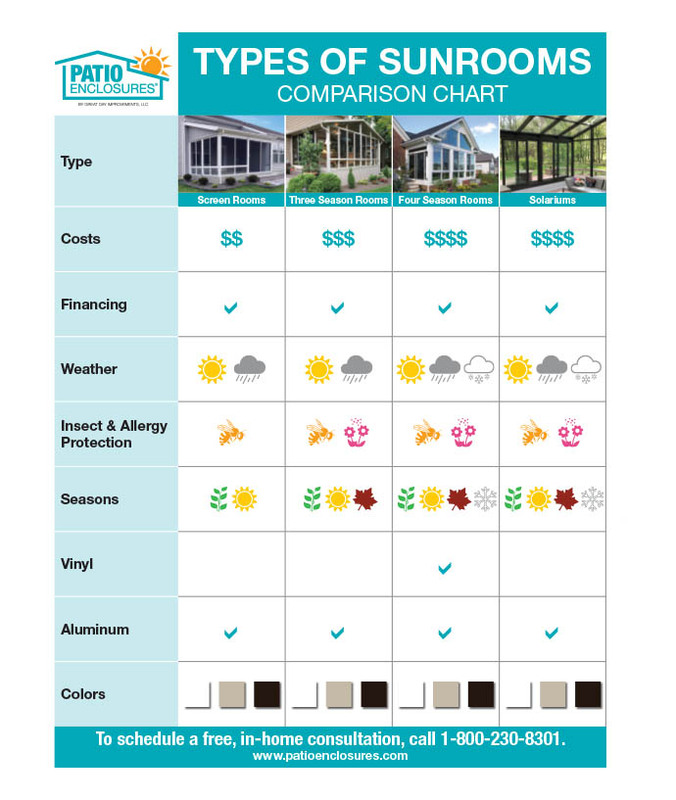 View our side-by-side sunroom comparison chart to see the features of all of our types of sunrooms and the benefits of each. 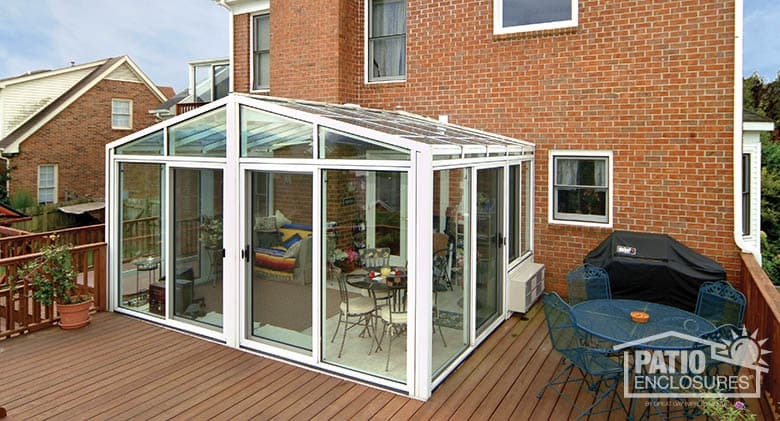 If you're still unsure, schedule an appointment with one of our sunroom experts! We've been designing and building sunrooms for homeowners like you for over 50 years and would be happy to come to your home, access your space, listen to your vision and make recommendations to create the perfect space for you. 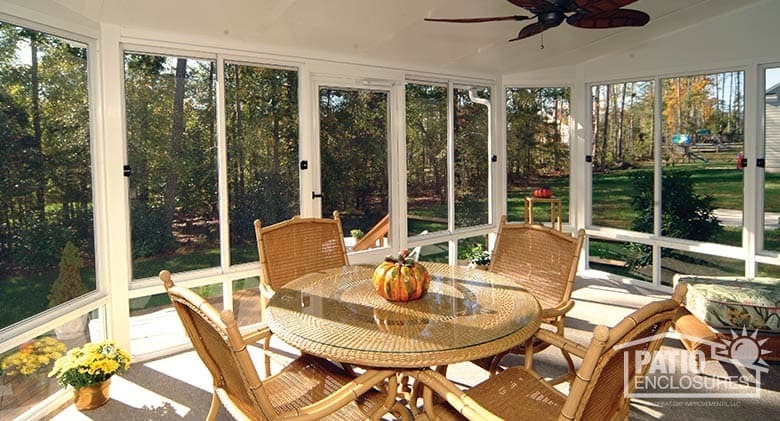 With so many choices out there, you may be wondering what makes Patio Enclosures different than the rest. Unlike other companies, we are a one-stop shop. We design, manufacture, install, guarantee, and service all of our products, every time. Your home is unique, so your sunroom addition should be too! We also offer a number of financing plans to help you get the room you want and stay within your budget. If you’re ready to take the next step, schedule your free, in-home design consultation so our experts can determine which sunroom type is best for your home.